Optimist Clubs are voluntary service organizations of civic-minded men and women motivated by the desire to contribute to the community in which they live. Members are united in their purpose of developing Optimism as a philosophy of life; inspiring respect for the law; promoting patriotism; working for international accord and friendship among all people; and aiding and encouraging the developing the development of youth. Optimists believe that in the giving of one’s self in service to others, the well-being of man, his community, and the world will be advanced. Membership is composed of citizens drawn from business, industry, and many other professions as well as retirees. 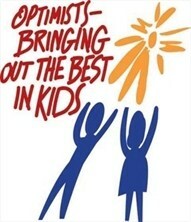 Optimist Clubs are united through Optimist International, one of the largest service organizations in the world. With over 4,300 clubs and more than 150,000 members throughout North America, Europe, and the Caribbean, Optimists raise $45 million annually to spend on community projects that serve over eight million youth in our communities.